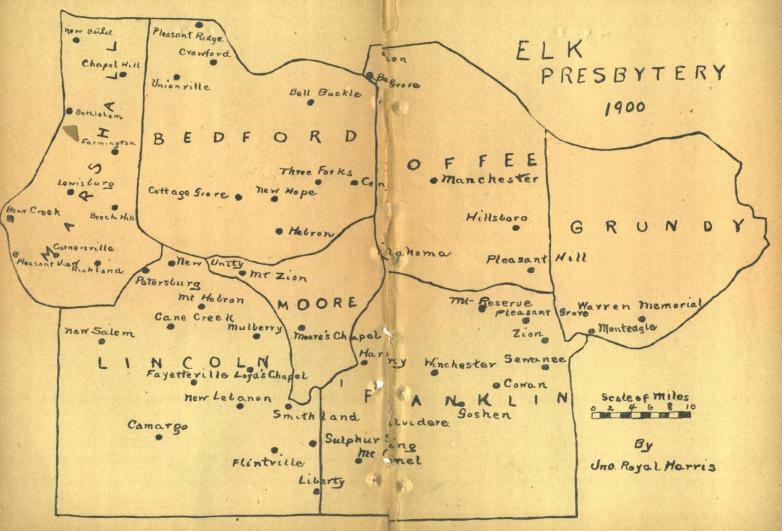 The Logan Presbytery comprised the Kentucky district and the regions beyond; the Cumberland, the Nashville and indefinite eastern and western fields; and the Elk, southern Middle Tennessee and the unlimited territories south, embracing, of course, the present fair and fertile Alabama. 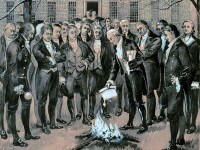 It will be borne in mind, however, that at this date there was no Alabama. This history has been given because it will help us in knowing by what authority the work of the Cumberlands was inaugurated and performed in the future State of Alabama. “Then the United States bought Georgia’s claim to this country, but Spaniards and Indians still had not only their claims, but also what is called ‘nine points in law’—possession. A territorial government was, however, established, and all the country was called ‘Mississippi,’ and continued to be so designated till 1817. 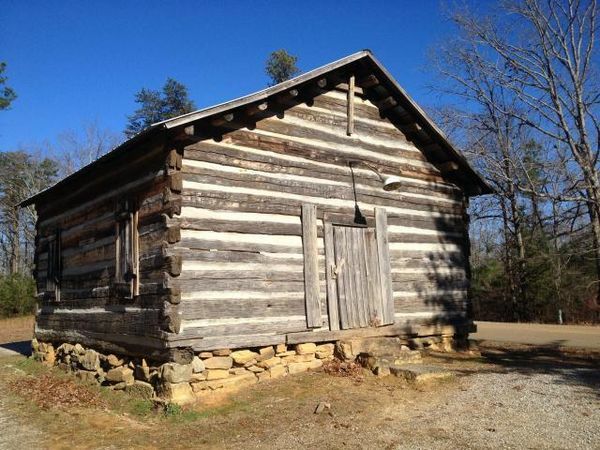 “In 1805, the Indian claim to a small portion of what is now Madison county, Alabama, was purchased, and settlements were established and the Indians withdrawn in less than two years afterward. 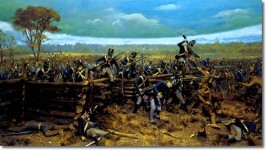 In 1813, the long-promised, long-delayed evacuation of South Alabama by the Spaniards was accomplished. In 1814 the Creek claim to that portion of Alabama was extinguished, but hostile Creeks still roamed over it and made it unsafe for Americans. 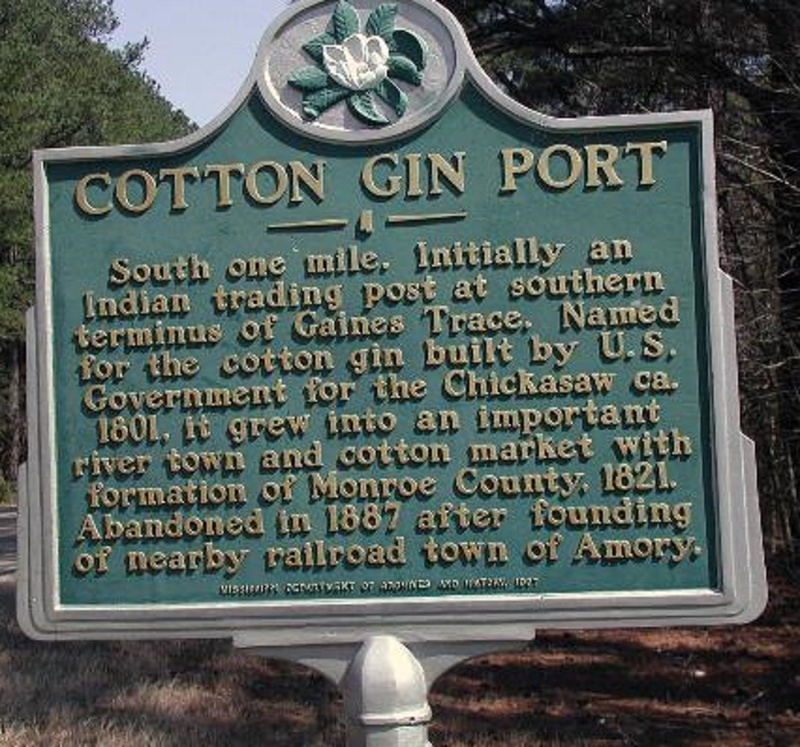 “In 1816 the country east of Cotton Gin Port, on the Tombigbee river, was brought from the Chickasaw Indians. In 1818, the first Territorial legislature assembled, Alabama being then severed from Mississippi. In that legislature there was but one senator. Some of the counties represented had in their elections cast but ten votes. There were just three settlements of Americans in the Territory—one centering at Mobile, one at Huntsville, and one on the Tombigbee river. 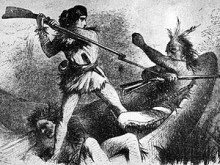 There were hostile Creek Indians, and a Creek war on Alabama soil as late as 1836. The way to the American settlements in South Alabama was open and free from danger only by the sea, though Georgians and Carolinians sometimes took their chances and traveled along the land route from the east. 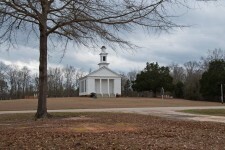 As the tide of immigration flowed from Kentucky and Tennessee west and south, it brought with it many who had found Jesus precious under Cumberland Presbyterian influence, and many of whom had cast their lot with the young church; while the influx from Georgia and the Carolinas knew nothing of these people. As a result, a Cumberland Presbyterian preacher was not long in finding a cordial welcome on his arrival in any neighborhood, particularly in North and Middle Alabama. Places were found ready for preaching, and gladly accepted. These led to monthly appointments and also to camp-meetings. The former were seed sowing and pastoral; the latter, seasons of harvesting. Closely on the heels of these followed the organization of societies or individual churches. This was the order of development in the work everywhere. Indeed, it was, in large measure, the course pursued by all the churches laboring in this newly opened country. It may very readily be seen how difficult it is to give, at this late day,—and owing to a carelessness for dates amounting almost to contempt,—definite localities, precise dates, and exact numbers. One can give only such facts as he, after long and diligent search, may have unearthed. The work of a pioneer historian is easy only to him who has never been called to wander through a wilderness of tradition. In the formation of “the council” it will be remembered the ministers, as well as the probationers—licentiates and candidates, were subject to its direction and control. 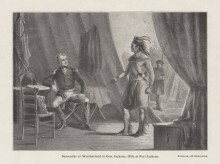 These orders were many times very inclusive as related both to fields and duties; embracing many counties and often large tracts of different States and territories, requiring many months of time to complete the hundreds of miles made almost without exception on horseback; and every form of ministerial service. Of such efforts, as it relates to Alabama, we have no records prior to 1807. At its meeting this year the council ordered the Rev. Robert Bell, then a licentiate, to the new settlements about Hunt’s Spring—afterwards Huntsville—the first town in North Alabama. Nothing is known of Mr. Bell’s operations under this direction. His home, at the time, was Bean’s creek near Salem, Tenn. His work at most was to spy out the land—a sort of a tour of inspection. The next year, 1808,—the same year in which Madison, the second county in the present State lines, was formed,—the council directed the Rev. 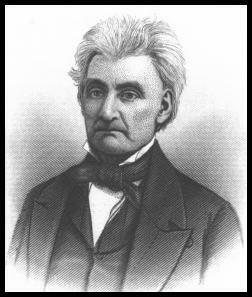 Thomas Calhoun, at the time only a candidate, to the Huntsville field. He was a Tennesseean, and a young man. 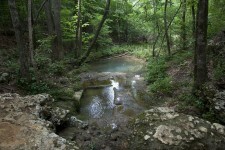 His father lived near Big Spring, Wilson county, not far from the present historic Lebanon. 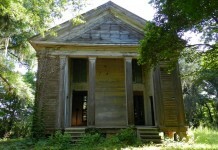 It is said that he preached in Mr. John Hunt’s house before it was finished. He, no doubt, followed in the steps of Mr. Bell, holding and enlarging the work. It must not be forgotten that their work was largely but introductory and preparatory. This became the chosen scene of his life work. 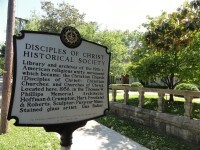 He was ordained by the Cumberland Presbytery Feb. 19, 1813. He was emphatically the pioneer preacher of his church in North Alabama. From being a candidate at his coming he remained until the day of his death, being one of the foremost ministers in his church and one of the ablest divines of his day. His ashes quietly sleep in the cemetery at beautiful Athens, which was his home for many years. 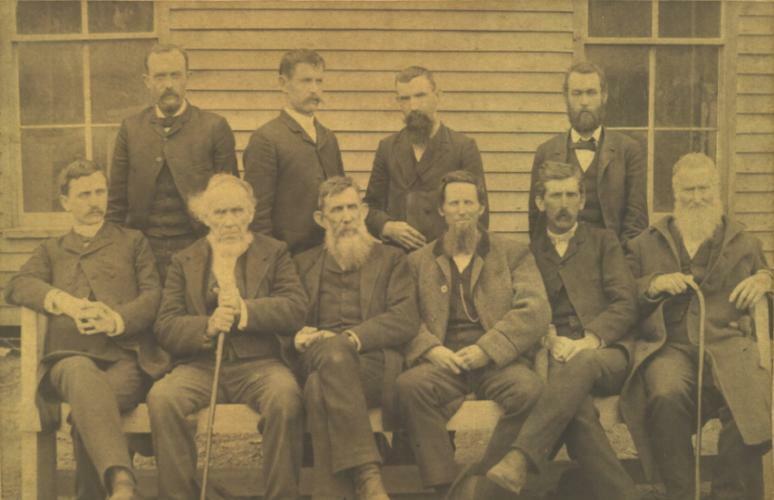 He held the first camp-meeting ever held in Alabama. It was held near where Huntsville now stands so queenly, before any town was there. He preached the first sermon ever heard in Huntsville. Out of his camp-meeting the old Canaan congregation grew. 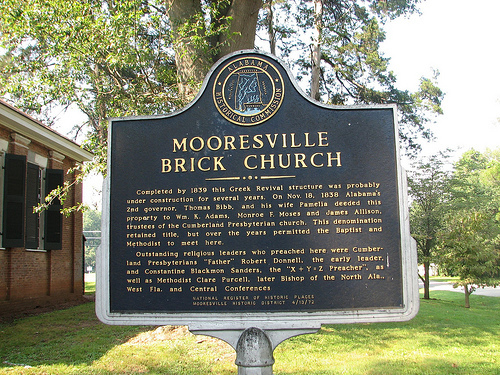 He held, at a very early day, a camp-meeting where Mooresville is located. The people were then called “squatters,” for as yet there had been no land sales. 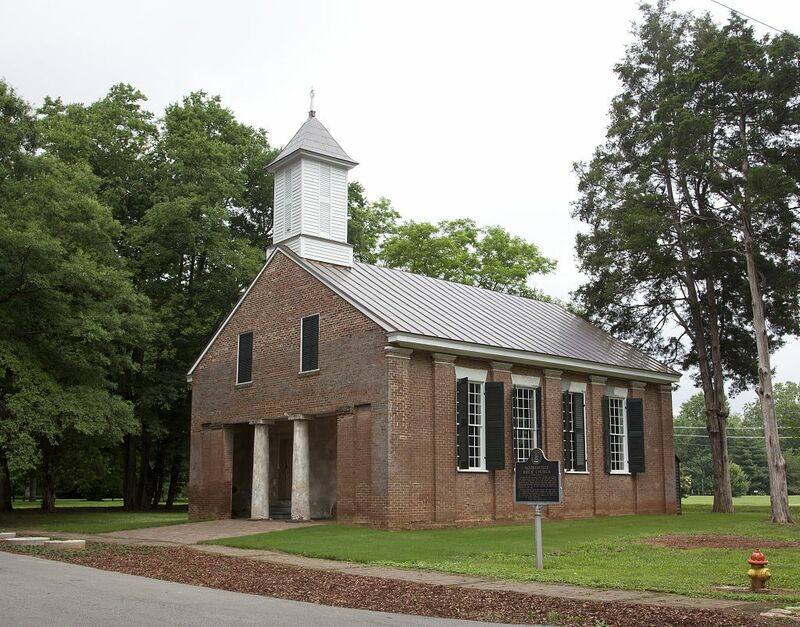 Meridian, afterwards Meridianville, was one of his early churches. 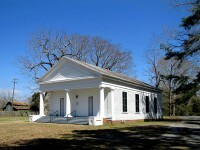 He was one of the first preachers who labored at Hazel Green. In 1809, in company with the Rev. Robert Bell, he preached occasionally at Athens. 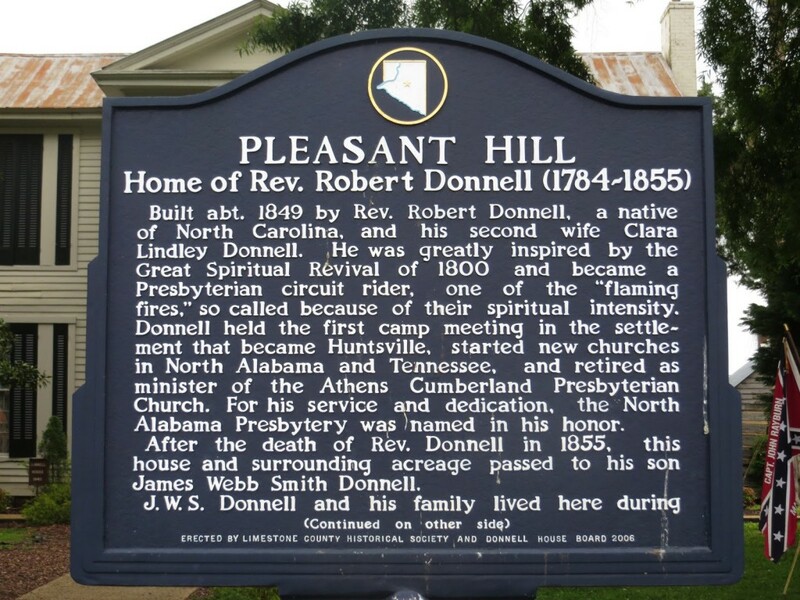 Many who professed faith in these and other of Mr. Donnell’s meetings afterwards removed to Arkansas and elsewhere and became the nuclei of Cumberland Presbyterianism in those regions. Mr. Donnell is the man to whom, more than to any other, the church owes her success in North Alabama. His labors appear to have been almost unlimited. Dr. McDonnold says: “Our old churches all over that country were planted by him.” At the initial meeting of the General Synod, 1813, he was made one of the committee of three whose duty it was to formulate a Confession of Faith for the church, and report at the meeting of the Synod the following year. This duty he discharged with fidelity and credit. 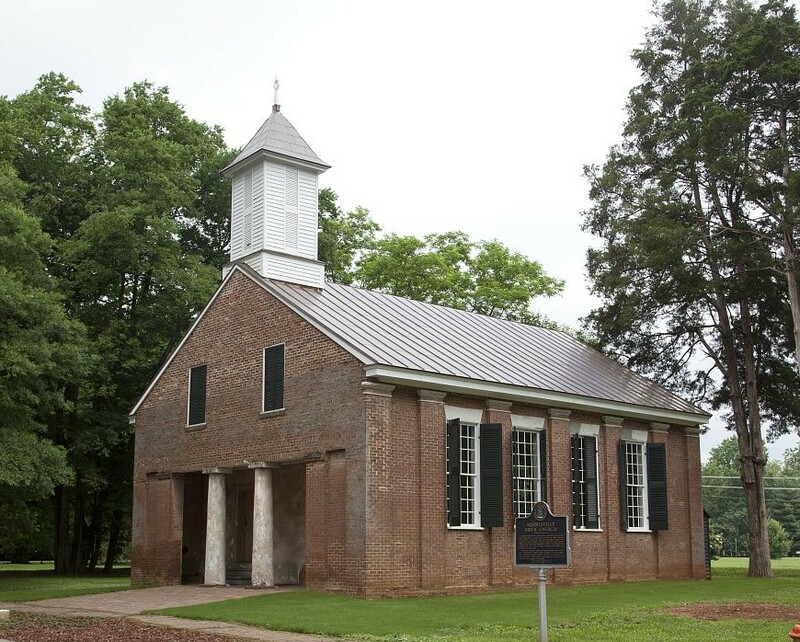 In the minutes of the Cumberland Presbytery in session at Sugg’s Creek, Wilson county, Tenn., April 7, 1812, I find that Alexander Wilson, a ruling elder, was present as the representative from Huntsville, Hermon and Kelly’s Creek churches. As I have no knowledge whatever of any other Huntsville at this primitive day, it must have been our little city. If I am correct, Mr. Wilson has the distinction of being the first elder from Alabama whose name comes through the records who ever occupied a seat in presbytery. Mr. Donnell was very much aided in his early labors by the Rev. 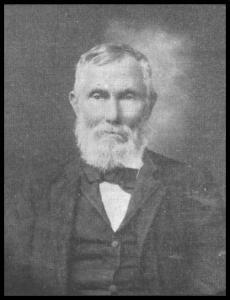 James Brown Porter, whose efforts were mainly evangelistic, and expended chiefly in Middle Tennessee and North Alabama. He was, in many respects, an admirable yoke-fellow for the mighty Donnell. Such men could not labor in vain. At all their meetings glorious successes were achieved. It will be held in mind that I am speaking of events prior to and including the year 1813, when the first synod was erected. Mr. Steele, if not the first, is among the first, Alabama ministerial fruits. He lived a long and useful and honored life, dying Nov. 9, 1887, in his eighty-eighth year. He was an uncle of the Rev. 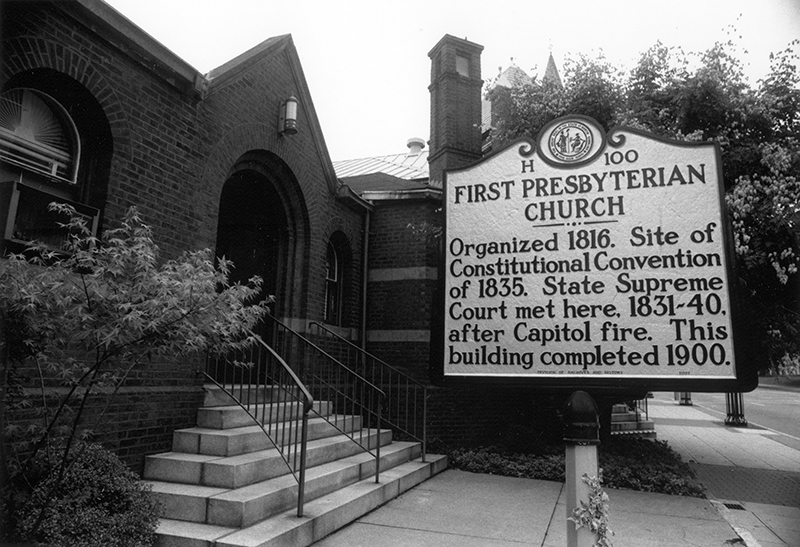 Isaac Donnell Steele, present pastor (1903) of the First Cumberland Presbyterian church, Birmingham. 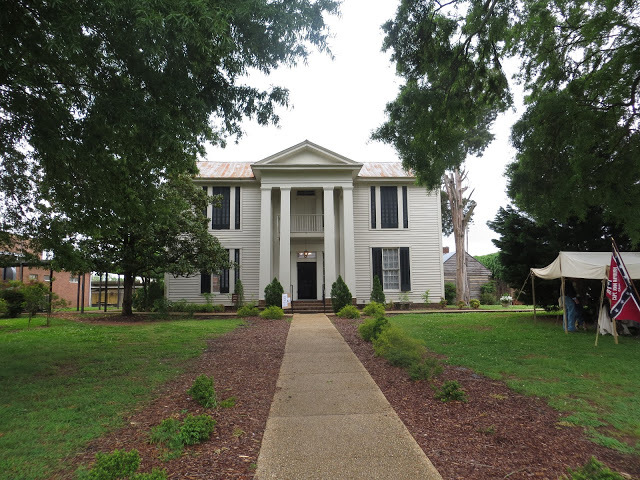 Dr. McDonnold says: “John Carnahan and Steele rode the circuit together, in 1819, through North Alabama, attending all of Donnell’s camp-meetings. 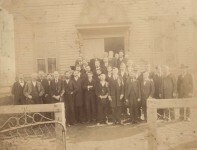 A little later John Morgan and Albert Gibson joined the band of Alabama preachers. There came other noble laborers, and North Alabama bloomed like the garden of the Lord.” It is said the distance round Mr. Morgan’s circuit was four hundred miles. Mr. Steele states that he established the first year three new camp grounds. By the way, these camp grounds with their camp-meetings were in those days what in modern times we call chautauquas and summer assemblies. They were centers and occasions of assembling for social, religious and spiritual quickening. 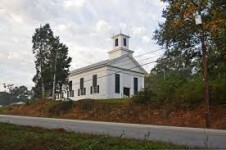 In view of what has been said it is not strange that many strong churches were energetically laboring in the State prior to 1820; and the same was equally true of Indiana, Illinois, Missouri and Arkansas. FreeHearts: A Novel Of Colonial America (Book 3 in the Tapestry of Love Series) (Volume 3) Inspired by true events, Col. John Washington (ancestor of President George Washington), Randall Revell, Tom Cottingham, Edmund Beauchamp ward off Indian attacks and conquer the wilds of Maryland’s Eastern shore in 17th century colonial America in this historical novel. 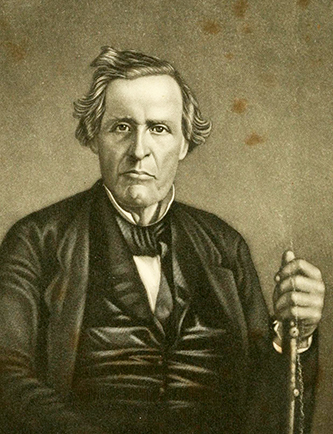 His journal gives great insight into the life of a traveling preacher in early Alabama. He traveled all through eastern Alabama from the north to the south, and to Lincoln County TN. My ancestor, John Franklin King, was an early Cumberland minister in Florence, Alabama, who moved to Arkansas about 1834 & was a contributor to the first Arkansas state constitution in 1836.